Macau-based Melco Crown (Philippines) Resorts Corp. is readying a loan of $340 million to help secure the future of its resorts and casinos group of companies, MCE Leisure Corp., in order to expedite the completion of the City of Dreams Manila integrated resort and casino project. The massive loan has been gathered from shareholder MCE (Philippines) Investments Ltd., and will act as a reserve for MCE Leisure in case the company’s issued senior notes are declined. “The shareholder loan is intended to be a back-up facility arrangement and it is currently expected that it will only be utilized by the borrower in the unlikely event that the senior notes offering consisting of P15 billion aggregate principal amount of five percent senior notes due 2019, which was priced on December 19, will not be completed,” explained Melco Philippines in its disclosure to the Philippine Stock Exchange last week. Melco Crown told the Philippine Stock Exchange that the company would allow the leisure group to borrow the sum from MCE Leisure (Philippines) Corp. which would be guaranteed by Melco Philippines, MCE Holdings (Philippines) Corp. and MCE Holdings No. 2 (Philippines) Corp., all of which are subsidiaries of the Macau-based operator. City of Dreams Manila – the estimated $1.3 billion integrated casino, hotel, retail and entertainment resort – is currently under construction by MCE Leisure Corp. in partnership with Belle Corp. and is expected to open its doors midway through 2014. 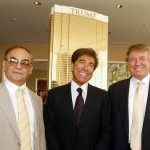 Belle Corp. is owned by Chinese Filipino billionaire tycoon Henry Sy, who owns business interests in retail, property, hospitality and banking, among other areas, and has been nicknamed the Philippines Retail King. Following on the heels of Enrique Razon’s Solaire Resort and Casino – which opened its doors last March – City of Dreams Manila will be the second of four integrated resorts and casinos to open in Entertainment City, and will feature 365 gaming tables, 1,680 slot machines, and a further 1,680 alternative electronic gaming machines for its guests. 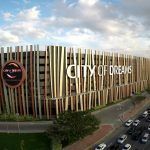 In addition to the casino side of the resort, City of Dreams Manila is also set to feature luxury hotel accommodation and high-end retail outlets, as well as a family entertainment center, gourmet restaurants and an exuberant nightlife. With only around six months until the expected completion date, the project’s developers are likely to breathe a little easier knowing that the funds are available for capital and debt settlements, details of which are set to be issued at the end of January. 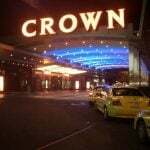 And since Melco Crown will be looking to cover all possible hindrances to the project, making sure enough money is available if the debt papers fail to yield the expected returns through a contingency plan seems like a wise move if they want the doors to open on schedule as expected..
“It will be money well spent and the end product will be many times that,” said Lawrence Ho, chief executive officer of Melco Crown Entertainment, to reporters. 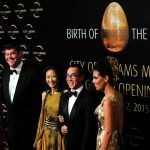 As the country’s gambling market appears to be growing ever more popular, the $340 million loan – which would be backed with equity according to Melco Crown – will definitely come in handy to ensure that City of Dreams Manila lives up to the expectations of the market.